Long ago, a young girl named Celia lived with her mother and a grumpy dog, Brumble, in a tiny house deep in the countryside. When Celia's beloved mother fell ill, Celia tried to make her feel better, but nothing seemed to help. "If only I could drink once more the sweet, sweet water of my childhood, my life would be saved," her mother cried. 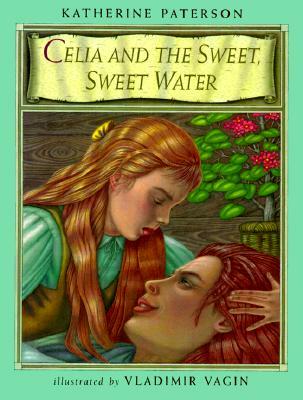 As Celia loves her mother very much, she sets out immediately with the complaining Brumble to find the precious water. Along the way, they meet several unhappy creatures: a wild child of the woods; a sobbing, wretched woman of the water; and a mad man of the mountain. Through kindness and enormous generosity, Celia manages not only to complete her quest, but to dissolve the sorrow of the three souls she has encountered on her journey.